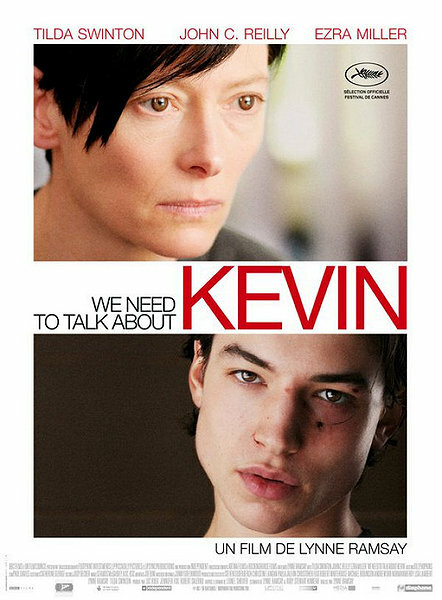 There have been few cinematic offerings in recent years that have traumatised their audiences quite like Lynne Ramsay’s unsettling We Need To Talk About Kevin (2011). Adapted from Lionel Shriver’s revered (beloved is far too warm a word) and hugely successful 2003 novel, Ramsay and her co-writer husband Rory Kinnear have conceived a brutal piece of cinema, apt when you consider that at the very core of Shriver’s story is the fear of giving birth to a monster. 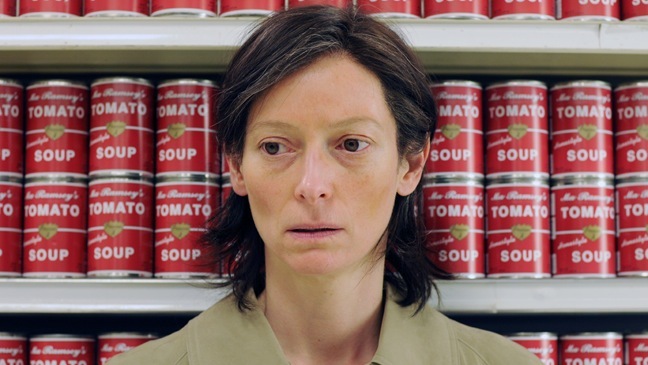 Though sticking closely to the side of the world-weary Eva (Tilda Swinton), the narrative tears back and forth ruthlessly through her life as a mother, pulling apart the events leading up to and after the unspeakable crime committed by her disturbed teenage son, Kevin. It’s a good job, then, that the film is carried magnificently by its leading lady. Swinton devastates as the youthful traveller and lover, the social outcast and in particular the perennially tormented mother of Kevin, creating a woman who beneath a wide-eyed exterior you know to be constantly screaming inside. Vulnerable Eva may be, but Swinton is smart enough to realise that she is never fully a victim, and that Eva herself is aware of this. Flitting between resentment of her son’s existence, the frustration with her blissfully unaware husband (John C. Reilly, doing his best with the one weak character), and the guilt following Kevin’s actions, Eva’s pallid face disturbs the viewer almost as much as her son’s. Of course, though the film may anchor itself in Eva’s traumas, it is as haunted as she is by Kevin’s malevolence. Inhabited with disarming ease by Ezra Miller, Kevin’s impassivity allows for wonderfully subtle character changes, a canvas of contempt masterfully harnessed in the false smiles to his father and the sly smirks to his mother. The chemistry between the two leads is startling, with their own androgynous features merging with the other’s to create a macabre mirror-image, binding the two together inextricably and uncomfortably for any parents watching. It’s a testament to the richness of Shriver’s original text that Ramsay chooses to focus upon the interior violence of the mother-son relationship rather than linger tastelessly upon Kevin’s diabolical actions. Caught between the stark sterility of domestic mundanity and the crimson blurs and punches of violent excitement – such as Eva’s exhilarated writhing amongst blood-red tomatoes in the opening scene – the film is a blistering attack upon the senses yet bewilderingly captivating too. Impossible to turn away from yet one of the most harrowing cinema experiences in history, Ramsey’s film is a triumph in every way. 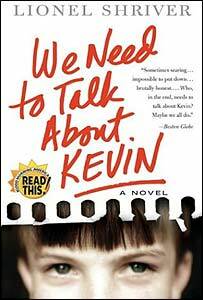 A horror show for parents everywhere, We Need To Talk About Kevin is one film that isn’t going to be silenced any time soon.